Updated Tuesday February 13, 2018 by Christina Svendsen. Team Mercury beat Rockers in OT by a score of 16-14. It was anyone's game throughout the 4 quarters. Madison Burke scored 4 points the 1st quarter to end it with a 6-4 Rockers lead. Maya Paquette and Julianna Cappiello both added a basket for Mercury to end the 1st half with a score of 8-8! Krissi Macdonald added 4 more points along with another 2 by Maya Paquette to end regulation play with a score of 14-14!!! About 1 min into OT, Madison Burke came through from a great pass by Allison Shpritzer to make her 3rd basket of the game to take the lead 16-14! Mercury couldn't have done it without the awesome defense and rebounding by Carly Heichman, Audrey Shanahan, Bridget Kelleher and Allison Shpritzer. It was an entire team effort to get the win for Team Mercury! Sparks played Mystics on 2/10. Shanice E. scored a basket & rebounded like crazy. Layal M. scored. Elli M. had a steal and set a great screen. Mady M. had an assist. Maddy P. rebounded. Emily P. had multiple free throws and breakaway layups. Christina R. had a rebound. Sophia V. played great defense. Week 9 of the Intermediate League season saw the Eagles play a close contest against the Jayhawks in a 26-24 loss. The Jayhawks scored the winning basket with less than 20 seconds remaining in the game. Kiley Kennedy led all scorers for the Eagles with 8 points. Also contributing to the scoring was Dakota Malizia (6 points), Adrianna Damiano (2 points), Rebecca Harris (2 points), Lauren Ryder ( 2 points), Victoria Lavargna (2 points), Rebecca Boudreau (1 points) and Aislin Davis (1 point). Mackenzie Bourque contributed with key rebounding. The loss dropped the Eagles to 4-5 with one game remaining. It was an exciting well-played game by both the Suns and Blazers on Saturday. In the end, the Suns were able to pull out a hard fought 28 to 26 victory. 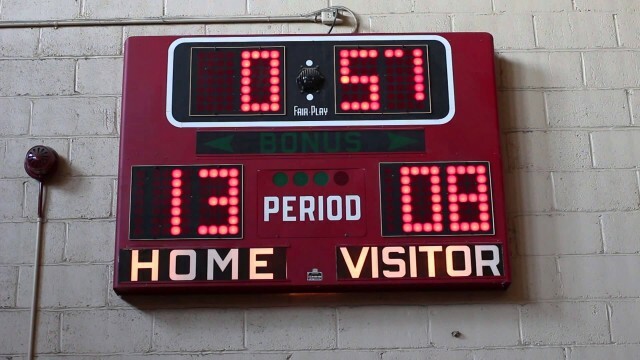 No team, at any time during the game, had a lead of more than six points. Abby Hansbury made 2 of 2 free throws to give the Suns a 3 point lead with 15 seconds to go. Madison Stovesand, Juliana Ricci and Klara Holden did an excellent job of rebounding the basketball and limiting the Blazers second chase opportunities. The Suns scoring came from: Kaitlyn Oates 12, Abby Hansbury 11, Brooke Woodman and Madison with 2 each, and Courtney Capachietti 1. Will look for the Suns to try to continue their winning ways next Saturday as the regular season comes to an end. Team Pacers were back at it after a short break against a well-balanced Spurs squad. Lots of great things going on today as every girl played hard and stayed focused from tip off. Great offensive efforts by Ally Ragusa, Lily Gigante, Jaylee Howard and Maisan Nguyen. Abby MacCallister, Jamie Munroe and Katie Polimeno all stepped up today with awesome play on both ends of the court. Leading our offense was Katie Polimeno with 24 points, followed by Abby MacCallister (8), Ally Ragusa (4), Lily Gigante (2), Maisan Nguyen (2) and Jamie Munroe (1). Week 9 for TGBL tipped off with the Spurs and Pacers. The Spurs played well against a talented Pacer Team. Leading the way for the Spurs with points was Megan Boudreau (9pts) followed by Jess Hickey (4pts, 10 rebounds). Madison Pierce had (8 rebounds and 3pts) Emma Nowell had a great outside basket (2pts) as well as Elizabeth Pacheco (2pts, 2 blocks) Working hard on defense was Madison Kearney (2pts, 4 steals) and Jordan Gardner (3 steals, 2 blocks) . With the Pacers still pressing late in the 4th quarter, Coach MaryKate Callinan called a time out and there to cheer on and support her team was Injured Team mate Brianna Iandoli. The Game Ball Award went to Jordan Gardner for her efforts on both sides of the ball. The Sonics remained undefeated after a terrific team effort against the Jazz, with each player contributing on both end of the court. Ava Piccolo was the high scorer with 16, fueled by three 3-pointers. Alyssa Gray (8pt) was on fire both from the foul line and from the block. Michelle Hinkle (5pt) scored 2 from the key and hit a foul shot. Emily Walker (2pt), back from her season-long injury, scored a basket and played solid defense. Rachel Picher (8pt) helped bring the Sonics back in the 3rd quarter, causing several turnovers during the press and scoring on layups. Erica Hinkle (2pt) landed an outside jump-shot during the Sonics comeback. Amanda Moreira (2pt) scored a hoop on a smooth drive from the wing in the 4th quarter to help the Sonics maintain the win. 8Blue played a tight game, with the lead trading back and forth. Tewksbury trailed by 1 at the half. Guards Christina Wentworth (4pt), Madison Kearney (3pt), Ashley Demers and Emma Hiltz were great at dribbling through the press. Forwards Lily Gigante, Erica Hinkle (2pt), Maison Nguyen (2pt) and Ava Piccolo (6reb, one 3pt shot) battled fiercely both defensively and offensively against larger opponents. Centers Nicole Potito (2pt) and Allison Costello (8pt, 5reb) protected the key on Amesbury fast breaks. Tewksbury took the final lead in the game with 10 seconds left. Costello's in-bound pass went the length of the court to Wentworth, who was able to fight for possession and drive for a lefty-layup. 8Blue dropped a game to undefeated Merrimack. Foul shooting saved 8Blue with the team, with Nicole Potito (3pt) shooting 75% and Jordan Garner (4pt) shooting 100%. Christina Wentworth (11pt) was 66% from the line in addition to hitting 2 field-goals and a 3-pointer. Ashley Demers (4pt) and Allison Costello (3pt) each hit a free throw and Demers landed a 3-pointer. Erica Hinkle and Madison Kearney played fantastic pressure defense at the top of the key. Maisan Nguyen and Emma Hiltz caused turnovers down low. Ava Piccolo and Lily Gigante were great in pulling down rebounds.